Richard Leakey was born Dec 19, 1944 in Nairobi, Kenya. His father and mother, Louis and Mary Leakey, were distinguished paleontologists who had pioneered the archaeological exploration of the Great Rift Valley of East Africa. 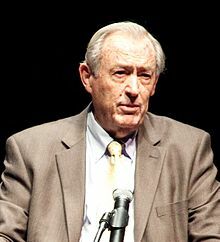 The second of three brothers, Richard Leakey spent his childhood trailing after his parents on archaeological digs, searching for the fossils of extinct species and human ancestors. He found his first fossil when he was only six, the jaw of an extinct species of giant pig, but in the end he was more interested in tracking living animals in the wild. In 1968, at the age of 25, he won appointment as Director of the National Museum of Kenya. Although he was diagnosed with a terminal kidney disease and was told he only had ten years to live, he continued on with his life. He married zoologist Meave Epps, a primate specialist who had worked with his father at Tigoni Primate Research Center. As Director of the Museum, Leakey undertook intensive excavation at Lake Turkana. Over the next 30 years, the site yielded more than 200 fossils, including two of the most spectacular finds of all time, a virtually complete Homo habilis skull in 1972 and a Homo erectus skull in 1975. As foreseen, Leakey's kidney disease grew severely, and he traveled to London to consult a specialist. He received a transplant from his younger brother Philip, but within a month, rejection set in. The drugs that suppressed the rejection weakened his immune system, and he nearly died from an inflammation of the lungs. Leakey survived, recovered, and returned to Kenya. In 1989 he accepted an appointment by Kenya's President, Daniel Arap Moi, to serve as Director of the Kenya Wildlife Service. He led a movement to end elephant poaching in Africa and almost eliminated the international ivory trade. In this first year as Director, Leakey staged a dramatic burning of 12 tons of confiscated tusks. The elephant population was soon stabilized and is now growing. In 1993, his plane suffered an unexplained equipment failure and crashed in the mountains outside Nairobi. The accident cost Leakey both his legs. As an expert pilot, he had good reason to suspect sabotage by political enemies. He resigned in 1994, declaring that corruption had undermined the organization. He established the political party Safina to voice his impatience with the corruption and inefficiency of Kenya’s one-party government. In spite of this he was appointed Head of the Civil Services in 1999. After heated conflicts he retired from government in 2001. Leakey received the 2003 Earthwatch Institute Conservation Award for his efforts on behalf of sustainable development. He was also awarded the Humane Society's Joseph Wood Krutch Medal for his contributions to improve the environment. He is the author of over 100 articles and books, including Origins, The Sixth Extinction, and his memoir, Wildlife Wars: My Fight to Save Africa's Natural Treasures. Leakey has served his native Kenya as a senior government official, opposition political activist, conservationist, museum director, scientific researcher and farmer. In 2004 he founded WildlifeDirect for endangered animals in Africa, an online charity which provides support to conservationists via the internet and the use of blogs. "To empower individuals and organizations to help save the worlds wild species". - To give those who care about wildlife the opportunity to follow day-to-day activities on the ground, to provide support to initiatives of their choice and to read about the actual results that their donations have enabled. Being a global thinker and one of the worlds best known paleoanthropologist, he is also a highly public advocate for the disabled, for Kenya’s kidney patients, for the environment, and for the benefit of the entire continent.